Today was a nice warm day on the lake and it brought out plenty of boaters with it. I decided to pull boards till I couldn't stand it and we had pretty good success up till about 9:30. By then 40 to 50 boats had blown by us and naturally put the fish down. We converted to downlines due to the traffic and continued to have good success. 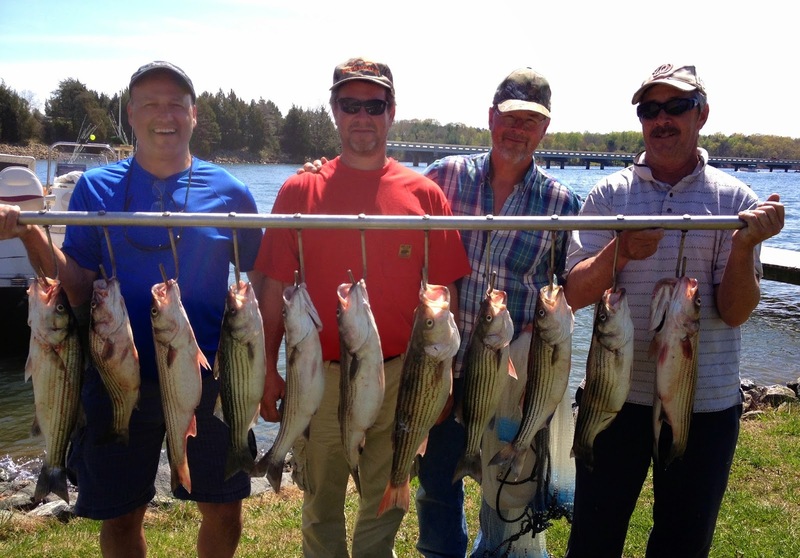 We had over 100 hits today, caught in excess of 30 Stripers and the guys took home 13.